Samsung’s entrant into the voice assistant arena arrives in the form of Bixby, where it will recognize English and Korean languages as a start. Having been released in more than 200 countries around the world after debuting in its home country, South Korea and the US, Bixby is also now available in the UK, Australia, Canada, and South Africa. Having experienced hiccups before being released in July earlier this year, Samsung’s Bixby is a voice assistant that intends to duke it out against Siri and perhaps even take on Amazon’s Alexa. Touted to be “an intelligent interface”, it is meant to it has been deeply integrated into the smartphone's settings, allowing you to play around with the device's options. This will range from having the screen timeout according to your whim and fancy, or to have all notifications show up, doing so without interrupting the user experience. Samsung has hopes to see Bixby grow into something more than its fledgling voice assistant self at the moment, being able to learn on its own as it picks up the nuances of your speaking method and pattern. 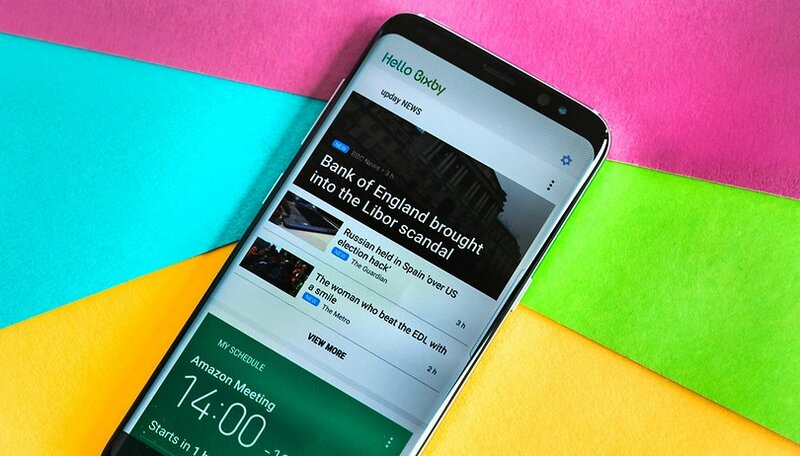 From today onwards, the Samsung Galaxy S8 and Galaxy S8+ smartphones will now launch Bixby with a press of the dedicated Bixby button, or simply by blurting out “Hi, Bixby.” The future will see Bixby increase in its learning power, delivering a more personal and intelligent interaction. This is one promise that we hope to see Samsung fulfill. Early adopters of Bixby have not found it to their liking, where there were issues concerning the most basic of commands. In fact, a number of users figured out that it might be a whole lot more convenient to simply make use of the touchscreen display directly compared to letting Bixby get to work. Hopefully, Samsung will be able to iron out all of its Bixby kinks in due time. Future plans for Bixby include increasing its availability to cover more countries, being conversant in new languages, a widespread compatibility with more devices and third-party applications. Are you looking forward to using Bixby?